2013 is already a week old and I’m still making mistakes writing 2013. hehehe. really, tell me, its happening to you too -right???? I have a very old relationship (albeit illicit) with dark circles. Most of it is to be blamed on late night movies and reading tons and tons of books. Very few classics though!!! 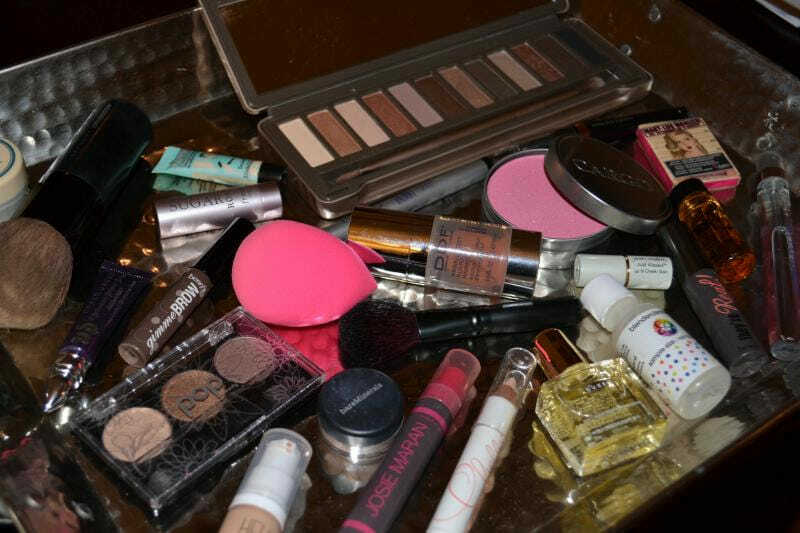 I often use a concealer while going out to make them look tolerable but I always thought I needed something more. well, an 8hr sleep with a quiet mind is out of the question for lots but I do try and remedi-fy them sometimes! I got the World famous Bobbi Brown gel liner few days back but my oily lids made sure it doesnt work on me. And while returning it, the kind MUA suggested I try this. And I’m glad I did. 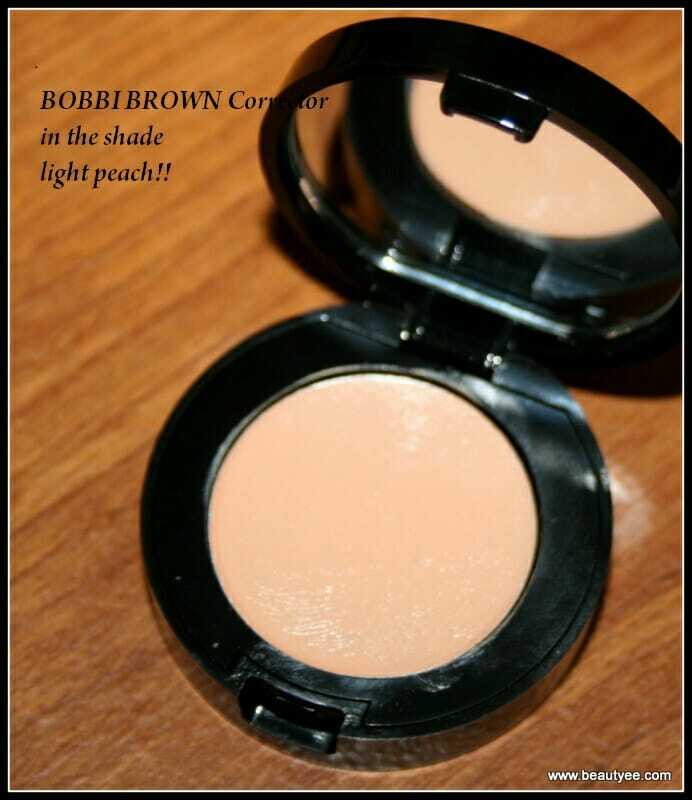 BOBBI BROWN Corrector ($23 + tax) : A wakeup call for tired eyes. 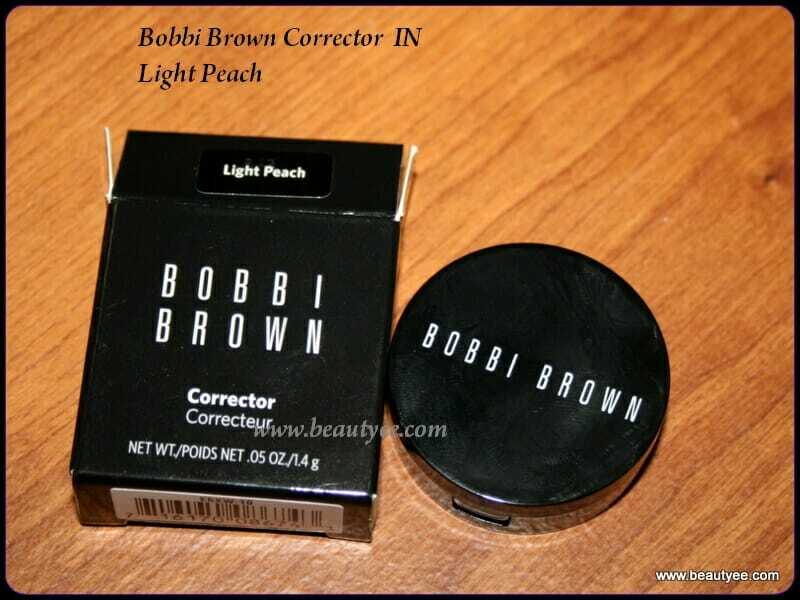 Corrector is pink- or peach-based to neutralize under-eye darkness and is designed to be used before Creamy Concealer. New and improved formula is long-wearing and brightens dark circles with quick, just-right coverage that’s easy to blend and won’t crease. And since great makeup starts with healthy skin, Corrector is infused with skin conditioners to protect the delicate under-eye area. 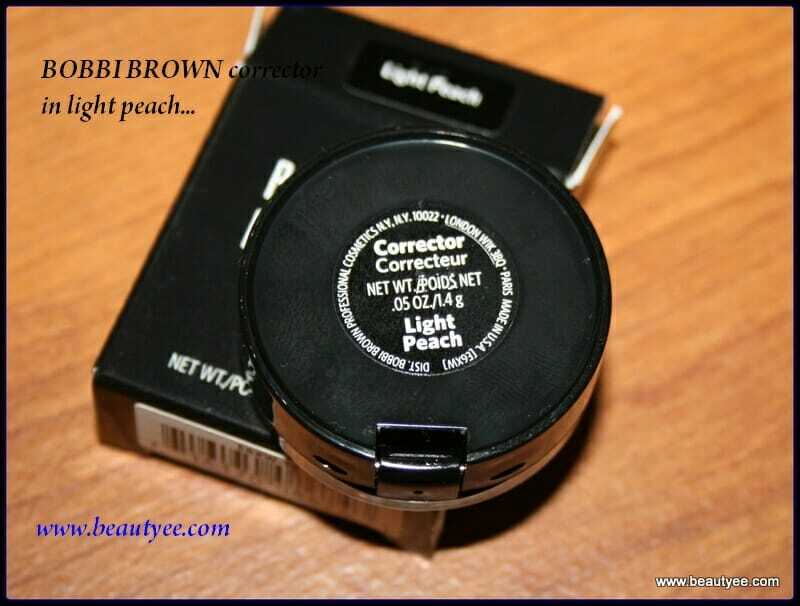 Packaging wise: it is a teeny tiny black round box with Bobbi Brown written on it. It also has a teensy mirror on the inside. Very light weight so great for travelling or stashing in your handbag. My Experience with the product : Honestly, other than the ditzy makeup looks I do for the blog or parties, I’m usually clean faced. In the entire 2012, I have purchased one foundation MAC and have used it only a few times. But a concealer is something I really need because my under-eyes look hideous. For sure!! I have used this for about 2 weeks now and I must say I really like this guy. This is really creamy and you need a very little amount to dab under the eyes. 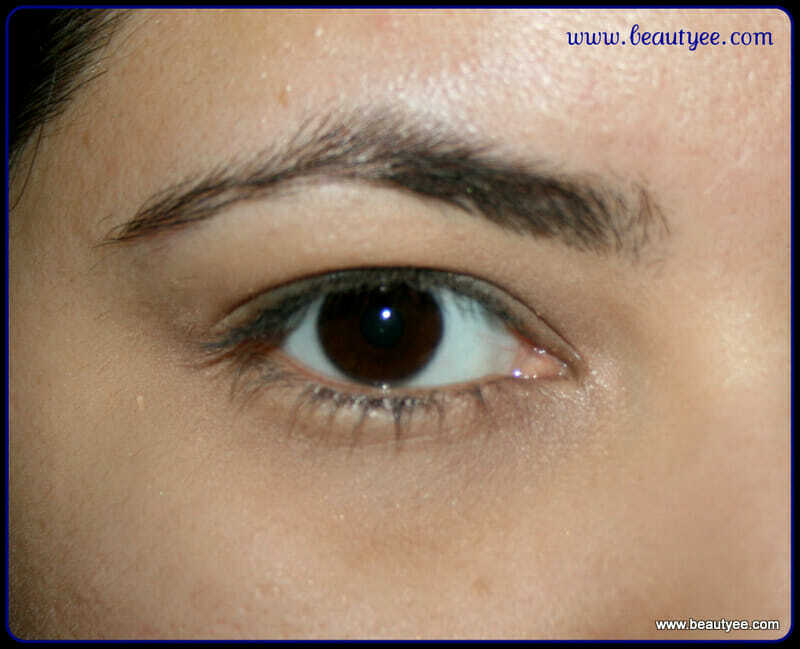 you need to dab a little from the inner corner of the eye to almost the end. Like shown below. I mostly use my ring finger but even brushes are great. I then dab-dab-dab to make it sink. 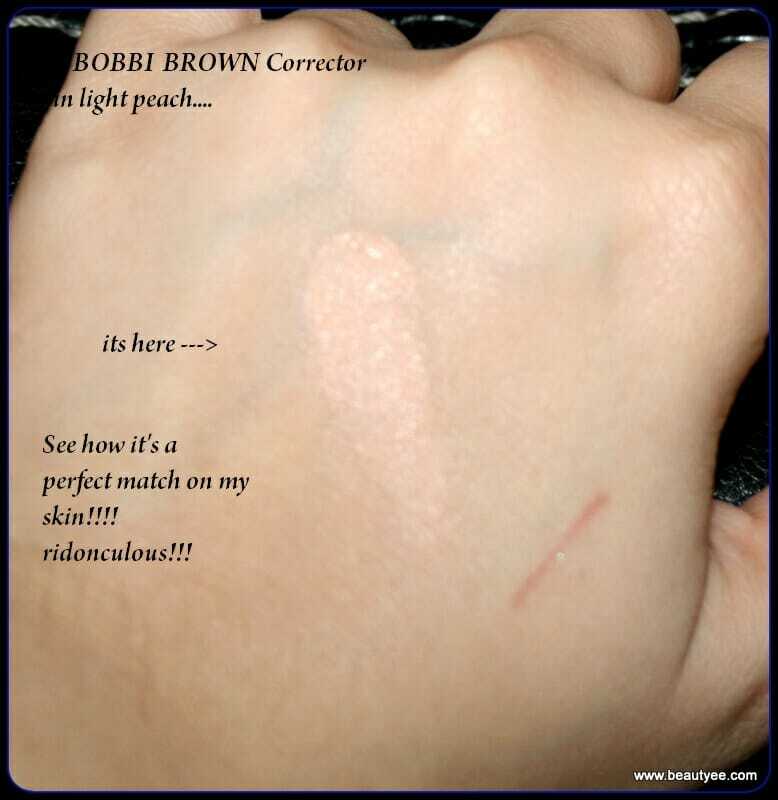 I sometimes apply a wee bit of concealer on top but for this review I just used this corrector. Initially I found that I was going overboard with it maybe because it really matches my skin tone, that was making it look ashy but after a couple of times, I kinda got it right. it blends very easily so is not a hassle to work with. Although I found it to be a bit sticky, so I’d suggest you work with one eye at a time. TIP: moisturize your skin and under eyes well in advance and this product will work like a dream. 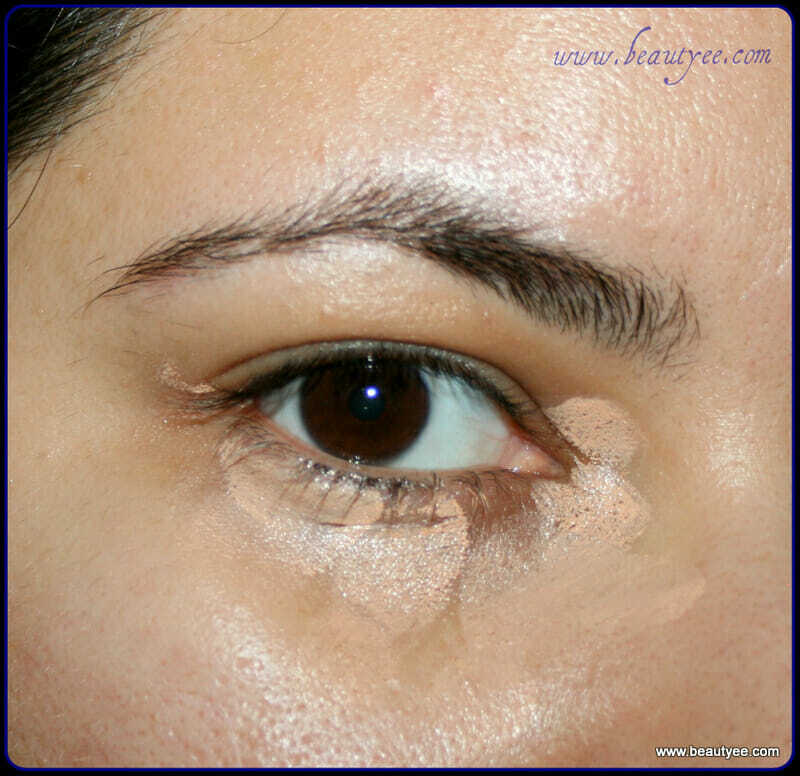 A dry skin invites cakey application. OMG thats like perfect match for u! it looks flawless and doesnt look like you have applied concealer at all..i so want! m def gonna try some darker shades for myself since my dark circles are way too dark! Thanks Pari.. Even i was so impressed. Thats why decided to splurge. Thanks for the complement though :)) definitely try this. Thanks for dropping by Rajvi 🙂 I know finding a concealer is such a task. but I’d suggest you get yourself matched in a store to se what color matches you, then you can buy them online too!